The Environment Agency has issued Flood Alerts for the parts of the Norfolk and Suffolk coast and inland waterways on the Broads. A Flood Alert is the lowest form of warning that is issued an means flooding is possible and that people should be prepared. There is a possibility of some minor flooding to coastal roads and footpaths between 4pm and 8pm this evening, Tuesday 1st January. Weather conditions are expected to produce large off shore waves. The detailed forecast for those that use it is for a peak level at Lowestoft of 1.67mAODN at 6:15pm, on Tuesday 1st January, which is 0.9m above tide tables, wind Force 6, North-North-Westerly. There is a possibility of some minor flooding to riverside roads and footpaths this evening, Tuesday 1st January 2019, between 5pm and 11:30pm. This is due to the natural tide locking effect of high tidal waters moving up the rivers from Great Yarmouth and Lowestoft that restricts the normal drainage out to sea of the Broads river system at low tide. High water is expected at Burgh Castle at 6:45pm and Beccles Quay at 9:30pm. 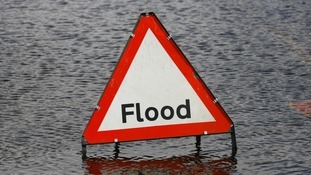 There is a possibility of some minor flooding to riverside roads and footpaths over the next two high tides. The risk of minor flooding is for this evening, Tuesday 1st January 2019, between 7pm and 11:15pm; and also, tomorrow, Wednesday 2nd January 2019, between 6:15am and 10:30am. "Take care on coastal roads and footpaths and don't put yourself in unnecessary danger. "We are closely monitoring the situation and not expecting the situation to escalate, or to issue anything else for the following tide."